Check out these fabulous fall faves that Gordon has put together which are perfect for any occasion. From Halloween parties to the Thanksgiving table these are sure to impress. This white wine is made from the vineyards of Moscatel de Grano Menudo-Small Grain Muscat- located on gently sloping hillsides at 700 meters of altitude in the valley of La Aragona, north of Jumilla, with chalky soils, dry climate and long hours of sun forming a microclimate perfect for growing this variety. Light, green-tinged gold. Fresh melon, peach and kiwi aromas are complemented by jasmine and white pepper. Juicy, tightly wound pit fruit and honeydew flavors. Delivers a lot of juicy, refreshing fruit and comes off almost weightless on the long, intensely spicy finish. Aromas of green apple and citrus mineral notes make for a delightful start to this traditional sparkler. Our NV offers bright, crisp acidity complimented by a touch of yeast on the delightfully long finish. A classic house style. 75% Chard. 25% Pinot Noir aged en Tirage for 24 months. ( Aged on the yeast for 2 years. Gruet Sauvage NV is a bone-dry sparkler, pale straw in color with a delicate but persistent mousse. The aromas of bright mineral and citrus notes tickle the nose followed by touches of green apple, lemon and grapefruit. The finish is structured, flavorful & long. The bright acidity makes this a perfect pairing for oysters, sushi and cream sauces. French and American oak barrels aged for eight months. Intense red color with violet tones. Aromas of wild berry and dark plum continue to the palate with smoke and vanilla lingering through the persistent finish. Pairs well with red meats, beef Wellington, roasted lamb, grilled vegetables, and semi-firm cheeses. Pioppi’s Package Store is now not only powered by all of our fabulous customers but also by the sun! Plymouth Solar Energy is finishing installing our solar panels on the roof so we can start minimizing our carbon foot print! These are just a few of the brands we carry that feel the same way as us about being eco friendly. “Wash Ashore Company’s first beer, the Buddha Pale Ale. Why this name? Well, John is a Buddhist, and each of Wash Ashore’s beers will have a proprietary name that is significant to its owners. John’s beer is first up. Scrumpy is an old English term for a farmhouse cider. Ours is made simply from the organic apples with their naturally occurring wild yeast, grown in our orchards. The same orchards that have been in our family for over 150 years. With every sip of Thatcher’s Organic Blood Orange Liqueur, you’ll enjoy the juicy flavor of an orange freshly picked from the grove, noticing just a hint of fresh raspberry. Enjoyed best with margaritas, sparkling waters, and martinis. Thatcher’s Organic Artisan Spirits are made of sustainably farmed, certified organic ingredients to bring you a better cocktail and support a better environment. Thatcher’s Organic Cucumber Liqueur has a flavor so crisp and refreshing you’ll feel like you’re biting into a homegrown cucumber straight from the garden. To be enjoyed on the rocks or in your favorite gin or vodka based cocktail. Thatcher’s Organic Artisan Spirits are made of sustainably farmed, certified organic ingredients to bring you a better cocktail and support a better environment. Thatcher’s Organic Small Batch Vodka is made using all natural ingredients and an entirely organic distillation process. This gives Thatcher’s Vodka an unbelievable crisp and fresh taste, perfect on the rocks or in cocktails. 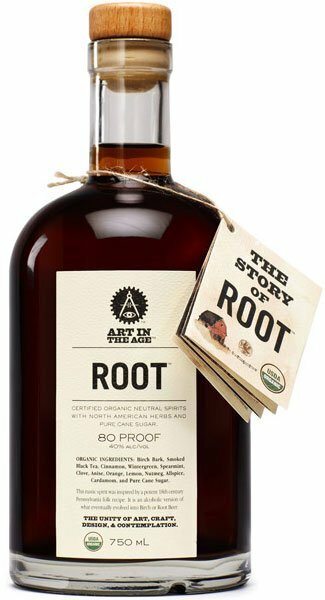 Thatcher’s Organic Artisan Spirits are made of sustainably farmed, certified organic ingredients to bring you a better cocktail and support a better environment. Starting with the purely finest ingredients available, our Crop Harvest Earth Vodkas are USDA certified organic, artisanal vodkas produced from grain grown on America’s plains. Crop organic grain is harvested from fertile, healthy soil free of artificial fertilizers, pesticides and chemicals, and Crop Vodkas are distilled so efficiently that no carbon treatment or charcoal filtering is required. Wine Enthusiast gave this 100 proof and 100% rye spirit its highest rating ever for a whiskey. The whiskey comes from the WhistlePig Farm in Vermont, a certified organic facility that is in the process of being restored to the type of farm it was back in the 1790s. No Detectable SulphatesFresh, tasty, and well crafted. Three styles, three regions and three reasons to taste. Primativo, Sangiovese, and Pinot Grigio. A must try! 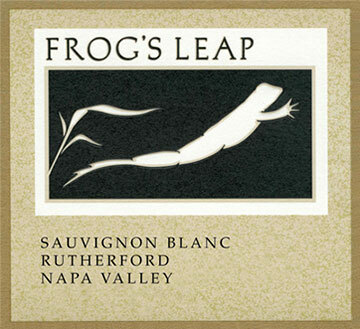 Made entirely from dry-farmed and certified organically grown grapes from our estate vineyards in Rutherford. Our Sauvignon blanc is then vinified in a way that allows the wine to retain the purity and distinctiveness of this noble variety. Wine elaborated during the first week of October with Monastrell grapes selected from our certified organic farming vineyards. The vineyards are on average 25 years old. The separation of the grapes harvested ecologically and conventionally is guaranteed not only by the facilities, but also by the vinification processes. The wine ages for 2 months in American oak barrels. Black cherry with purple violet hues. Clean, fragrant with bouquet of spice box, violets and blueberry. Smooth texture, with savory red fruits, soft round tannins, well-balanced acidity and pure finish. This wine is made from grapes from organic vineyards in accordance with the rules of the European Union and the United States. The vines are planted on limestone soils without irrigation and with very poor yields, rainfall does not exceed 300 mm annual and it helps to obtain top quality grapes without adding any pesticides. We showcased this fabulous punch at the Pilgrim Hall Museum Summer Party Fundraiser years ago and ever since our customers have asked for the recipe. This is a fan fave. Put all the ingredients together into a large drink dispenser or punch bowl and garnish with fresh cherries and pineapple slices. Muddle nectar, lemon juice and berries. Pour rest of ingredients and shake with ice, stain and pour in a red wine glass full of ice. Garnish with blackberries and a lemon twist. To make a batch for multiple folks multiply the ingredients by number of servings with the exception of blackberries. Take one third of the amount you would use per cocktail per person and throw into a blender with a little water and blend. Then double strain and add to the Sangria “punch”. Stir moscato wine, lemon-lime soda, brandy, peach schnapps, peaches, strawberries, mangos, pineapple chunks, and raspberries together in a large container and chill 8 hours or overnight. Combine all ingredients and keep chilled for several hours and add Cava right before serving. SATRICO, AN ANCIENT PRE-ROMAN CITY FROM WHICH THE WINE TAKES IT’S NAME LOCATED THIRTY MILES SOUTH OF ROME. DRY, FRUITY AND AROMATIC ON THE NOSE. 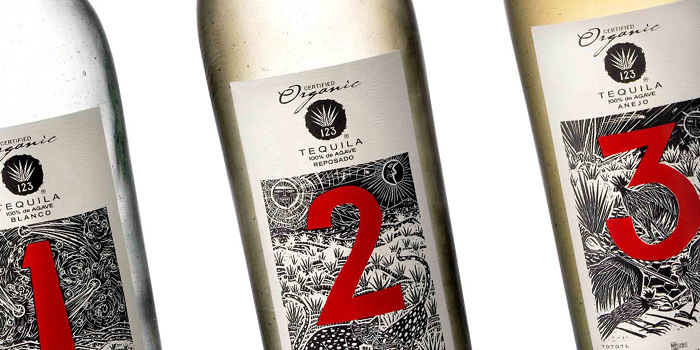 SATRICO OFFERS A CLEAN MINERAL CRISPNESS ON THE PALATE AND A LENGTHY FINISH. I LOVE THIS WINE! A TRUE SUMMER SIPPER! THE NAME REFERS TO THE ISLAND OF SANT ANTICO AND COASTAL AREAS OF THE SOUTHWEST OF SARDINIA. MADE WITH 100% VERMENTINO THAT SHOWS A BRIGHT STRAW YELLOW. A NICE FRESH FINISH ON THE PALATE, WITH AN ATTRACTIVE MINERAL NOTE. PERFECT PAIRING FOR FISH, SHELLFISH AND SEVICHE. HINTS OF FRESH LEMONS WITH A WATERMELONS RIND KISSED WITH STRAWBERRY. LOVELY! FUN AND FANCY FREE. A SNAPPY MINERAL STREAK GIVES THIS DRY ROSE A NICE ZIP. ENJOY WITH FISH, CHICKEN, PIZZA AND FANCY SALAD. Fruit + Beer = Delicious vitamins…. with the warm weather approaching we thought we would share with you some fabulous beers to quench your thirst in the heat! Harpoon Big Squeeze – Sweet with a hint of tartness, UFO Big Squeeze Shandy is perfect for all of your summer adventures! Harpoon Wannamango – This pale ale brewed with mango begins with a subtle tropical aroma of passion fruit and mango. Golden-copper in color, it has a light body, slight hop bitterness, and malty sweetness, and finishes with a kiss of mango. Foolproof Queen of the Yahd – Queen is a truly unique IPA brewed with real raspberry. We dumped a stupid amount of American hops into this beer, giving the Queen a gorgeous bouquet of tropical fruit that is complemented by a subtle tartness from raspberry purée. This is a refreshing, delicious, and totally crushable IPA. Ballast Point Watermelon Dorado –Watermelon Dorado Double IPA is not one to back down from big flavors. Mash, kettle, and dry hopping blend to create a huge hop profile that is balanced with a blast of watermelon. The result is a refreshing brew that is all summer and no seeds. Ballast Point Grapefruit Sculpin – Some may say there are few ways to improve Sculpin’s unique flavor, but the tart freshness of grapefruit perfectly complements our IPA’s citrusy hop character. Grapefruit’s a winter fruit, but this easy-drinking ale tastes like summer. Ballast Point Mango Even Keel – Our Mango Even Keel is the ideal beer for easy drinking. This hoppy, session ale gets a flavor boost from mango, which perfectly plays off the citrusy hop bouquet. With fruit, hops, and a low ABV, this beer truly is on another level. Ballast Point Pineapple Sculpin –Pineapple Sculpin IPA came from one of many small-batch cask experiments to enhance the flavor of our signature IPA. With so many tropical hop notes in Sculpin, how could we not try adding some sweet, juicy pineapple? The combination of fruity flavors and hop intensity definitely packs a punch. Dogfish Romantic Chemistry – What you have here is a serious India Pale Ale shacking up and hunkering down with mango and apricots. At the same time! Romantic Chemistry is brewed with an intermingling of mangos, apricots and ginger, and then dry-hopped with three varieties of hops to deliver a tropical fruit aroma and a hop-forward finish. Dogfish Head Fort – An ale brewed with a ridiculous amount of raspberry juice. Fort has a Belgian-style base, then we follow a similar fermentation process to the one we use on beers like 120 Minute IPA and World Wide Stout. Fort is an excellent candidate for cellaring. Grab a few bottles, enjoy one now and lay the others down for a few years. 21st Amendment Hell or High Watermelon – Hell or High Watermelon Wheat is our summer seasonal beer available from April through September in six pack cans and on draft. We start by brewing a classic American wheat beer, which undergoes a traditional secondary fermentation using fresh watermelon. A straw-colored, refreshing beer with a kiss of watermelon aroma and flavor. Epic Lil’ Brainless Raspberries – Lil’ Brainless® Raspberries is an easy drinking canned version of our big, bold 22 oz. bottle of Brainless® Raspberries, crafted especially for those who seek bright, fresh, and real raspberry flavors in a convenient size. We brew exclusively with natural raspberry puree, which give this beer its unique pink color as well as hints of raspberry bubble-gum, sweet fruit jam, and a pleasant dryness that makes this beer perfect for easy going affairs, indoors or out. Maui Brewing Co. Pineapple Mana Wheat – An unfiltered, freshly handcrafted American-style Wheat infused with Maui Gold Pineapple. Our crisp and refreshing wheat ale is lightly hopped to allow the fruity sweetness of the pineapple to shine. The yeast stays in suspension making the ale traditionally cloudy. Founder’s Blushing Monk – Blushing Monk is brewed with a ridiculous amount of raspberries and with a Belgian yeast strain that keeps our head cellar operator from sleeping for a week. It pours a stunning deep berry red and, at 9.2% ABV, has a surprising kick. The perfect dessert beer, it can be enjoyed on its own or paired with fresh cheeses, fruit, cakes and more. Lindeman’s Raspberry Lambic– The appearance of this exceptional beer is matched only by its taste! To make our Framboise, we add raspberry juice to our lambic. That gives it a delicate fruity aroma and a beautiful dark pink color. Framboise is served as an aperitif, but I also use it in cooking. And when I don’t finish the bottle in my preparations, I finish it in my glass. Lindeman’s Peach Lambic– As its name suggests, Pecheresse is a lambic beer enriched with peach juice. And this fruit lambic is a real peach! It is nice to drink at any time of day. Or on a sunny patio. Personally, I enjoy it with my girlfriends. And what we talk about is of no concern to you. Stony Creek Brewery Sun Juice Belgian Summer Ale with Orange and Grapefruit – Sun Juice™ is a refreshing Belgian Summer Ale brewed with wheat. Saison yeast produces a silky body while Orange peel, Grapefruit peel, Coriander, and Chamomile impart a spicy and fruity complexity. It’s Summertime, grab yourself some Sun Juice™.